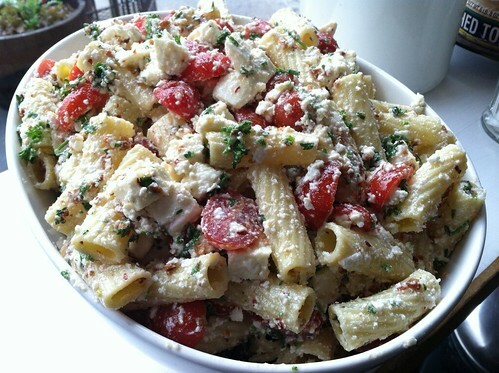 Here's the deal, there's ricotta salata, there's chili flakes, there's sliced grape tomatoes, parsley, maybe some Parm(? ), and there's enough fresh garlic to make your nonni proud and ward off any nearby vampires. Rigatoni is an under appreciated pasta shape and here Brancaccio makes use of the large, tubular pasta's lines which are like channels of garlicky, cheesy goodness. While this is a relatively new addition to the menu joining the popular bacon mac & cheese, it's fortunately in regular rotation. Add some perfectly sauteed broccoli rabe and dinner is ready for the table.